Architects, corporate consultants or the field sales force are no longer the only ones to work on projects from changing locations. Mobility has become an important factor in all kinds of industries. Team members shuttle between projects and company sites and are part of distributed project teams. While they are away on business, permanent callbacks at the office or the exchange of information via e-mail are cumbersome and error-prone. 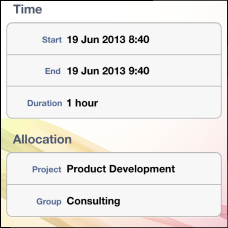 So, mobile team members often miss out on the change of a deadline or a contact person or on a new work package. These are the team members we have developed our InLoox Mobile Apps for, which are now available for download. 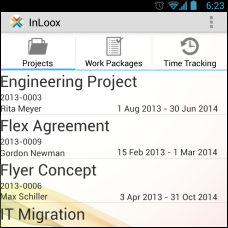 With InLoox Mobile Apps, team members receive real-time project data while they’re on the go. The contact details of the responsible contact persons in their projects are also always at their fingertips. With the new application, they can see pending tasks for themselves and their team members directly on their smartphone. Mobile team members can also give feedback on completed work packages while they’re on the go or document the time they have worked on project-related tasks. So, the office-based team members are always updated and there is no need to complete project data after the mobile team members returned from their trip. With the project list, real-time project data are always at your fingertips. 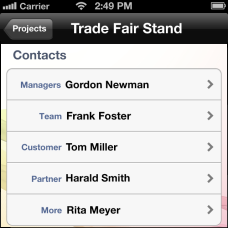 You can take the contact details of each contact person in every project with you with the InLoox Mobile Apps. The work package list shows at a glance which tasks are pending today and during the next days. 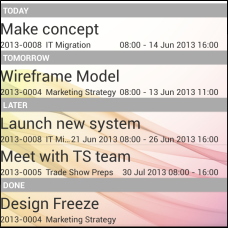 The InLoox Mobile Apps help you to document project-related tasks while you’re on the go. 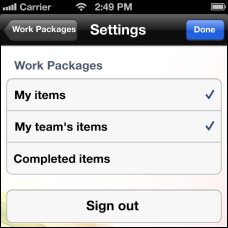 Get an overview of your own tasks and the tasks of your team members with the work package list. The connection to your team’s project database synchronizes all project data automatically. The InLoox Mobile Apps are free of charge and available for download on the Apple App Store and on Google Play. InLoox for iPhone requires iOS 6.0 or higher, InLoox for Android requires Android 3.0 or higher. The InLoox Mobile Apps can be used in combination with an InLoox now! 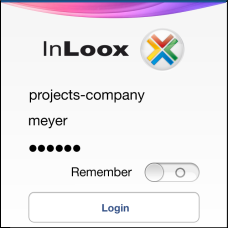 Universal User account or with an InLoox PM Enterprise Server and Universal User licenses. A new addition to the InLoox product family: The InLoox Mobile Apps - InLoox • Copyright 1999-2019 © InLoox, Inc. All rights reserved.